Responsible for driving for growing agents’ base, transacting customers and revenue by providing leadership on agent recruitment, acquiring business and management of agency business operations in the zone. • Planning, executing, and monitoring Sales strategy; Distribution/expansion; Marketing initiatives; and Budgets of NMB’s entire Agent network at the Zone. • Liaising with branch managers on identification of the new prospective agents in the Zone while ensure compliance of KYC as per regulation and business requirements. • Acquire new business opportunities, initiate business cases and product concepts for value added services on Agency banking, and seek necessary approvals from within the bank. • Agent relationship management & business development of Direct and Indirect Channel model of NMB Wakala in the Zone. • Managing training of agents, staff and field team on products and troubleshooting of agency banking tools as well as agents disputes. • Management of Agency Banking Representatives and assign goals to branches and field team by product, and generate necessary reports for Performance Reviews to ensure quality support services to NMB Wakalas. • Monitor the market very closely for dynamics on customer behaviour, competition, policies, compliance and regulations. • Supporting other business units for cash transaction solutions using customized agency banking models. • Periodic visit the regions in the zones ensure correct implementations of agency banking strategies, policies and compliance also to monitor performance and evaluation of branches and field team KPIs. • Supervising zone’s Agency banking Representatives on their Agency Banking day to day activities and targets. • University Degree/Advanced Diploma in field of Banking, Finance or Business related field. • Minimum of 3 years’ experience in the Banking industry, Mobile Network Operator (MNO), or agency network operations with proven strong interpersonal skills. • Prior exposure to field operations on agent network institutions/FMCG Sales/direct sales operations will be an added advantage. Please be advise that if you are not contacted within 14 working days of the advert closing date then you have not been shortlisted. The job entails managing an organization’s reputation with the public in general and clients in particular. 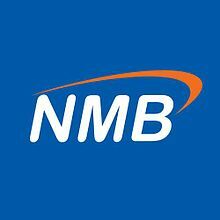 At the helm of managing NMB’s public image, is the public relations specialist, who oversees the efforts of the team in maintaining a favorable image of the company in the world of business. While managing PR, a specialist must also advice other team members in addressing media questions relating to the organization, pitch stories to the media, create effective press kits that highlight an organization’s products and/or services in the best light and handle any crisis or emergencies that arise within the organization by communicating with the line manager. • Prepare information for media kits, distribution of press releases to media house and ensure releases appear in the media as per plan. • Responding to media queries including but not limited to Q&A’s requests from the media ensuring approved by the line manager prior to media submission. • Monitoring the public and media’s opinion of NMB – provide daily PR media report i.e. scans and translation of the coverage (before 10am). • Writing and editing press releases, speeches, Q&A’s ensuring you have product facts and approval from product owners. Ensure all information to the media is pre-approved by your line manager. • Provide pictures and captions of all events to Content Manager after the event. • Evaluate advertising and promotion programs for compatibility with public relations efforts. • Deep understanding of the media landscape and storytelling abilities. • A shown ability to partner and build links with multiple functions and stakeholders in a highly matrixed organization. • High-energy, self-starter with ability to drive and handle diverse program aspects. • Strong dedication to excellence and delivering against objectives. • Excellent written and verbal business communication skills. • Resilient with ability to work well under pressure in a dynamic environment. • Relevant Degree in Public Administration, advertising, industrial Psychology, Mass Communication or equivalent.